If you are in your 30s or 40s, chances are good that colon cancer is not a disease you are particularly concerned about right now unless you have a family history. This is the type of condition you almost always hear about striking much older people. Sure, there's the occasional news headline, such as when Katie Couric's husband, Jay Monahan, died as a result of colon cancer at the age of 42, but that's just an anomaly. Or is it? According to new research, cases such as that are becoming more prevalent as the rate of colon cancer appears to be on the upswing in people younger than 50. The study, which took place at the University of Michigan in Ann Arbor, found that colon cancer rates may have increased in both men and women under 50, and the disease is often diagnosed at a later, more advanced stage than in older patients.1 The subjects were close to 260,000 American adults listed in a federal database who had been diagnosed with colon cancer at some point from 1998 through 2011. Among this group, almost 15 percent--or roughly one in seven--were under the age of 50. The scientists analyzed the data for the under-50 group versus the 50-and-over group and found some interesting trends. First, and probably due to the fact that the cancer was generally discovered when it was already more advanced in the younger patients, it was usually treated in a more aggressive manner. The younger subjects underwent surgery in 72 percent of the cases, compared to 63 percent of the older subjects. And radiation therapy was more common as well, performed on 53 percent of the younger patients versus 48 percent of the older ones. Another interesting trend is that despite the differences in treatment, the survival rates were very similar among patients of all ages. The medical records showed that approximately 68 percent of colon cancer patients under 50 had a five-year survival rate, and those over 50 had a five-year survival rate of approximately 67 percent. If the age at which colon cancer is being diagnosed continues to creep downward to younger and younger individuals, it might spark the medical community to recommend screenings at an earlier age. Presently, most people are not considered at risk for this disease until 50, which is when blood tests and an initial flexible sigmoidoscopy or colonoscopy is typically suggested. These procedures entail the use of a flexible tube to get a view of the inner lining of the colon and spot any abnormalities. They are the standard primary forms of testing conducted to detect colon cancer. And for those with a family history of colon cancer or certain related health issues such as inflammatory bowel disease or colorectal polyps, screening might be recommended years earlier. 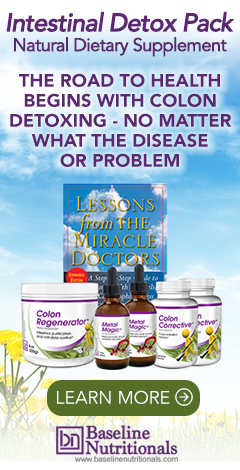 So the message here is more than just to be proactive about going to the doctor; it's to make the sort of diet and lifestyle improvements that can help protect you from colon cancer and other diseases as well. Skip the fast food and junky snacks and focus on consuming a more nutritious diet designed to reduce colon cancer. Exercise regularly, even if it's just 15 or 20 minutes a day to start off. You'll begin losing weight and feeling great, and the added bonus is you will lower your risk of developing colon cancer both before and after the age of 50. Because spicy food causes constant irritation in colon, in fact, there are so many things the researchers have to learn. Relying on a few hundred cases it is wrong to come to any conclusion, and at the same time any statement of a patient cannot be fully relied upon without a pinch of salt, this is my experience. Further it depends on the quantity of spices taken and what kind of spices, and whether they were fully ground, whether they were throughly cooked with food or simply sprinkled on the readymade food, these factors definitely play a very important role in making a person sick. Only use certified organic spices. The problem with spices is they are GM, are irradiated, heavily sprayed with pesticides and fumigants.